Buying a new washing machine can be quite overwhelming with all the different styles and types of washing machine on the market. One of the most important decisions is whether to invest in a front or top-loading appliance, as each one comes with advantages and disadvantages. By understanding the difference between top and front-loading washing machines you’ll be able to make an informed choice as to which one suits you best. The way you load your clothes is the most apparent difference – top loading machines have a vertical tub where you out your laundry through a door at the top, front loaders have a front door and a horizontal drum. 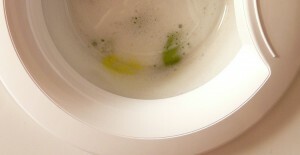 Top loaders need clothes to be fully covered with water in the tub, and during the wash cycle the movement pushes the water outwards towards the edge of the tub and back, to clean the clothes. This operation tends to use more water, and you can use any kind of detergent so that’s a bonus. Top loaders use less power and take a shorter amount of time to wash clothes, so energy savings are greater. They’re also less expensive to buy, but many don’t last as long as their dearer counter-parts. 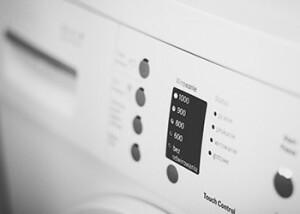 Front loading appliances use tumble washing to clean clothes which involves the drum inside rotating to remove dirt and only enough water needed to moisten the laundry, resulting in lower water consumption. The cycle takes longer to complete and will often result in a better wash. You’ll be able to wash more clothes at a time due to the drum capacity being so much greater than the top loader. Front-loading also uses less water and detergent to wash clothes, but recommended doses must be used to avoid filling the room with suds! You won’t be able to stack top-loading machines on top of on another whereas with a front loading machine you can. This compact storage makes for space saving options in your utility room or kitchen. The front-loading washing machine saves time, energy, money, and space as well as increasing the longevity of laundry with its soft washing and drying cycles. It’s also environmentally friendly due to low water consumption. Common drawbacks include a higher initial cost, and the cycle completion before the door can be opened. Top loading appliances are cheaper to buy and easy to operate. If you’re looking for a basic machine that works effectively and you’ve got a budget to keep to top-loading units with agitators are ideal. They offer lower spin speeds which means clothes come out a little wetter, but the generous sizes tub makes them a great small space solution. When something goes wrong and you need professional washing machine repairs, simply search online. 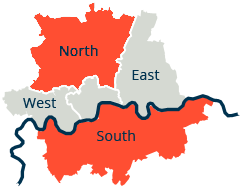 Find a reputable company who offer a fully insured service, with quality guarantees, and quotes and low rates for the job you need carrying out. Whether you’ve got faulty top or front-loading washing machines, these engineers will soon sort you out!